Due to our work planting trees, building bird feeders, bird boxes and recycling. 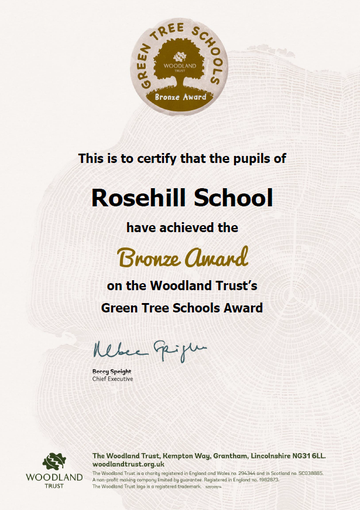 We have earned the Woodland Trust Bronze Award! Lets see if we can earn a Silver Award Next!